If you want that under contract or better SOLD sign in your front yard you should hire the right Real Estate Agent for the job but also once you found the right Real Estate Agent listen to her or his advice. There are a lot of things sellers can do to sabotage the sale of their home. Overpricing the home only hurts you in the long run. I understand you want to save some room for negotiation, but by overpricing your home you are missing out on opportunities. Talk to your Real Estate agent and have a price strategy in mind. Pricing your home right from the beginning will generate interest and in most cases multiple offers. The first few weeks a home is on the market are the most important. Not having many showings when the home first hits the market generally indicated that your home is overpriced, or there might be a marketing problem. The price of the home is determined by the market and not by what you own on the home, what you bought the home for or how much you put into the home for upgrades. Be sure the home is in excellent condition when potential home buyers walk through it. We understand you still live in the home (in most cases at least), but try to have the home show ready at all times. If you have pets be sure they are secured or you can take them out before buyers come out to see your home. Curb appeal is very important but besides the curb appeal the rest of the home should be in good condition as well. Buyers will like a home that looks like it has been taken care of much more than a home that has maintenance issues. These can all be very simple fixes like cleaning air ducts, changing air filters, making sure there is no rotten wood, simple maintenance items in most cases. One of the biggest mistakes a seller can make is not having the house accessible, or having restrictive showing times. There is generally only one chance and if the home is not available to be shown when the buyer is out looking this is a missed opportunity. This could have been the buyer that made an offer on your home but since he or she wasn't able to see the home they never had a chance to making an offer on the home. If this is an out of town buyer they will probably make a decision at the end of that day and you missed out. No matter what you are doing try to give buyers access. Every agent wants to sell their clients home at the top of the market but that's not always possible if the seller does not listen to the agents advice. Trust me we only have your best interest in mind. Our goal is to sell your home quickly for top dollars. 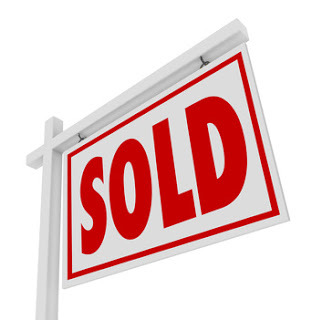 If you are thinking about selling your home call me today to schedule a free consultation. If you are interested in finding out what your home is worth in today's Real Estate market click here.